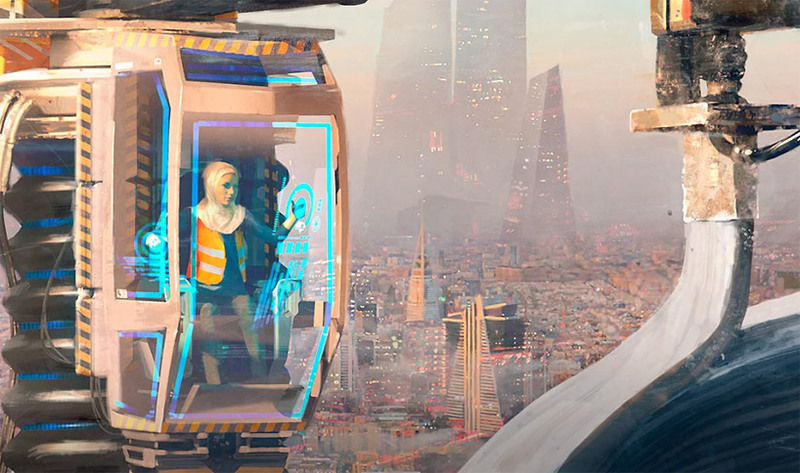 visualizations of tomorrow — to imagine the future posses a challenge as it is easy to concentrate on what’s wrong instead of trying to visualize a better tomorrow. however, it it’s worth to do it because as carl sagan said, ‘imagination will often carry us to worlds that never were,’ and envisioning is the first step towards change. this year we received several thousand submissions from our readers, with designers, artists and architects from across the globe sending through a diverse range of works that we have shared with our audience over the last 12 months. we believe that maintaining an open dialogue with creatives is extremely important, and we are happy to showcase the high level of original projects of our readership. 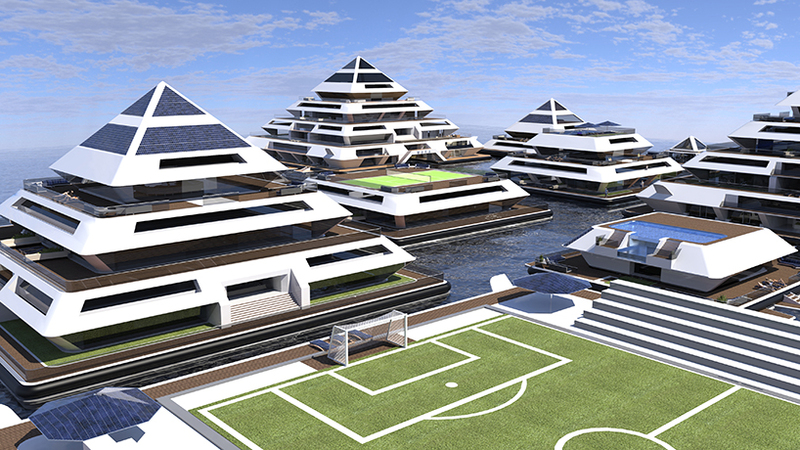 from volcano-shaped structures that can dim the effect the sun has over ice-cold regions to an ever-growing floating city made of plastic, we highlight 10 visualizations of tomorrow from our reader submissions of 2018.
this year, pierpaolo lazzarini envisioned wayaland — a floating city made of modular pyramids that offers different living and entertainment facilities including hotels, shops, spas, gyms, bars and cinemas. completed with solar panels and water turbines for energy supply, the project aims to provide a new offshore living experience within a self-sustainable community. 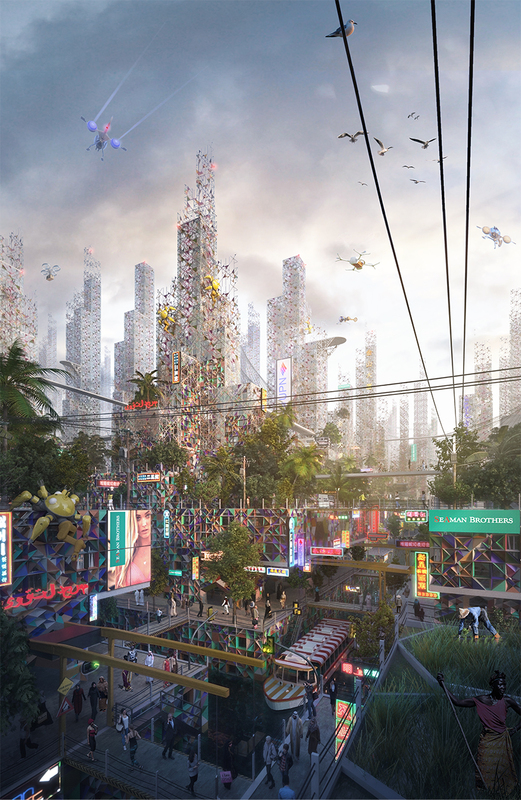 with their latest conceptual project, solidsprout reimagined the landscape of bangkok, thailand. the idea was to attempt to visualize how the city might look if shopping malls were replaced with green spaces. the design aims to raise people’s awareness about the development of greenery in the urban context. 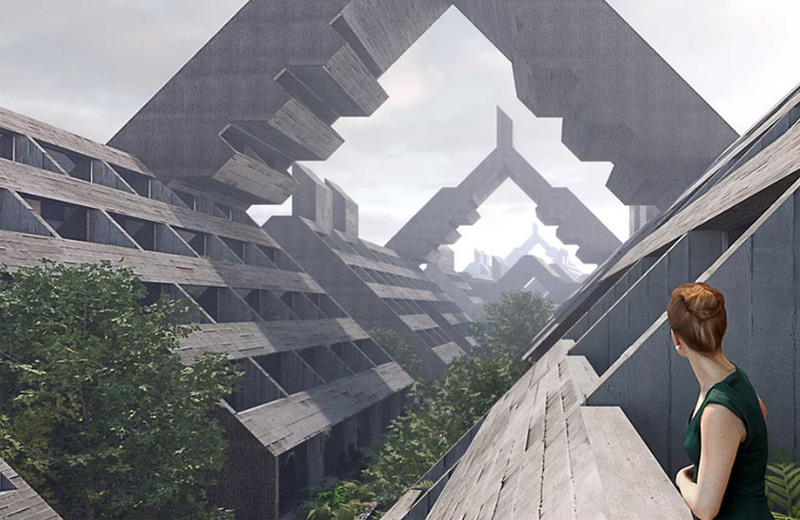 in the concept images, mountains of recreational areas are recreated and placed around the iconic buildings and at the exact spots where the existing department stores are located. 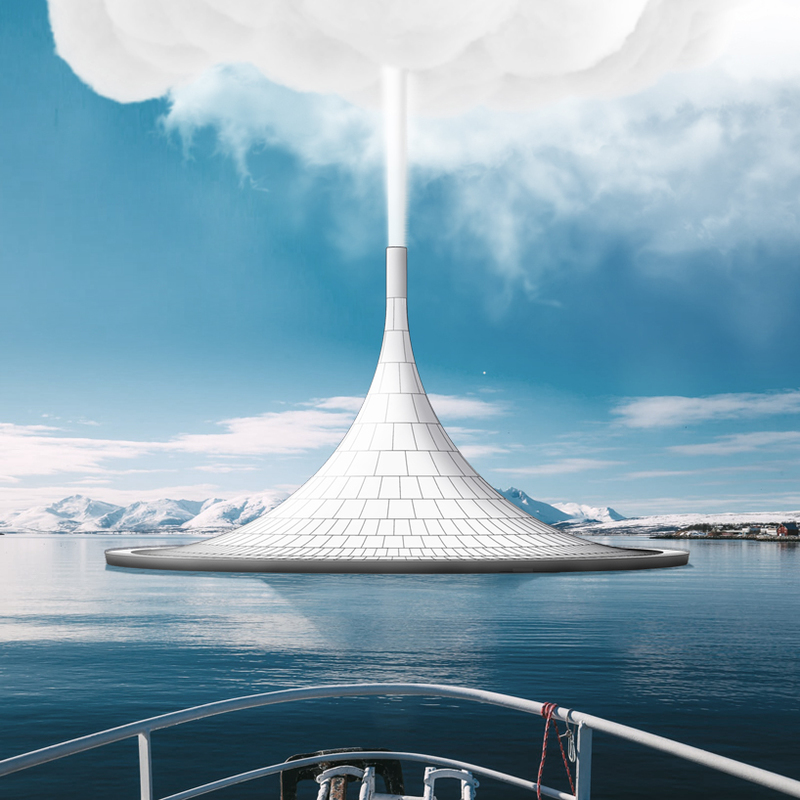 architecture studio PARQ envisioned cloud maker, a series of giant, volcano-shaped structures that can dim the effect the sun has over ice-cold regions, or precipitate rain over desertified locations, by projecting pure steam into the atmosphere to create bright clouds. to generate the steam, these structures are to be placed on top of oceans, extracting hydrogen and oxygen from the water through electrolysis and burning it up towards the atmosphere through a rocket-shaped converging nozzle. celebrating what would be paul rudolph’s 100th birthday, designer lasse lyhne-hansen revisited one of the late american architect’s most famous unbuilt proposals: the lower manhattan expressway — one of the last mega plans radically transforming new york city. in 1967, rudolph was commissioned by the ford foundation to do a study on the implications of the LOMEX, as it was abbreviated and known back then, a robert moses proposal for a Y-shaped corridor that would have destroyed much of what we now know as soho and tribeca. rudolph’s findings led him to believe that the city did not need a road that would sever midtown from downtown but instead, a building spanning the entire width of manhattan. AKQA london — together with senan lee and pansy aung from salt and pepper creative studio — brought jobs of the future to life in a series of conceptual images for MiSK global foundation, a platform set up to educate youth. as the world economic forum recently predicted that 65% of children in school today will have jobs that don’t currently exist, the creative team decided to fantasize about what we’re going to do in the not so distant future. preoccupied with the issue of air pollution, amsterdam-based designer angelo renna proposes to build an artificial mountain to make the environment cleaner. 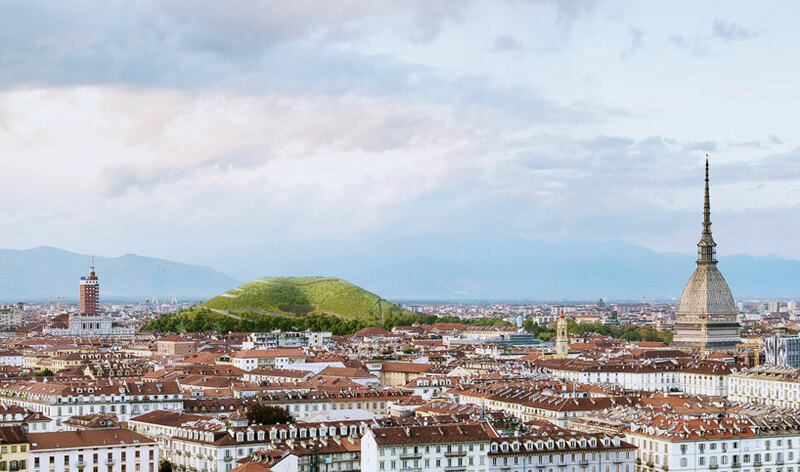 made of soil excavated from the construction site of the railway tunnel connecting turin to lyon, the 90-meters-high ‘sponge mountain’ will be able to absorb the CO2 from the atmosphere. australia-based studio freischärler proposed the united plastic nation, an ever-growing, floating city which collects and recycles plastic from the oceans. the project imagines a self-sufficient structure built with 3D-printed materials produced by a swarm of robotic drones and sustained with food grown in vertical aquaponic farms, water and waste that is cycled through closed systems, and energy produced by waves. 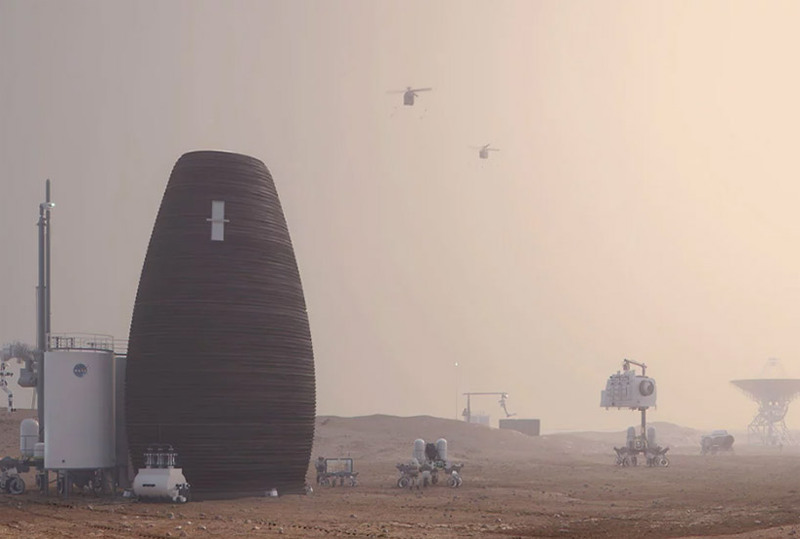 new york-based architecture and technology company AI spaceFactory presented marsha (MARS HAbitat), a 3D-printed visionary verticle housing on mars. the project marks a radical departure from previous habitat schemes typified by low-lying domes or buried structures. where structures on earth are designed primarily for gravity and wind, unique conditions on mars led to a structure optimized to handle internal atmospheric pressure and structural stresses: a vertical egg-like container with a minimal footprint. this innovation challenges the conventional image of ‘space age’ architecture by focusing on the creation of highly habitable spaces tuned to the demands of a mars mission. 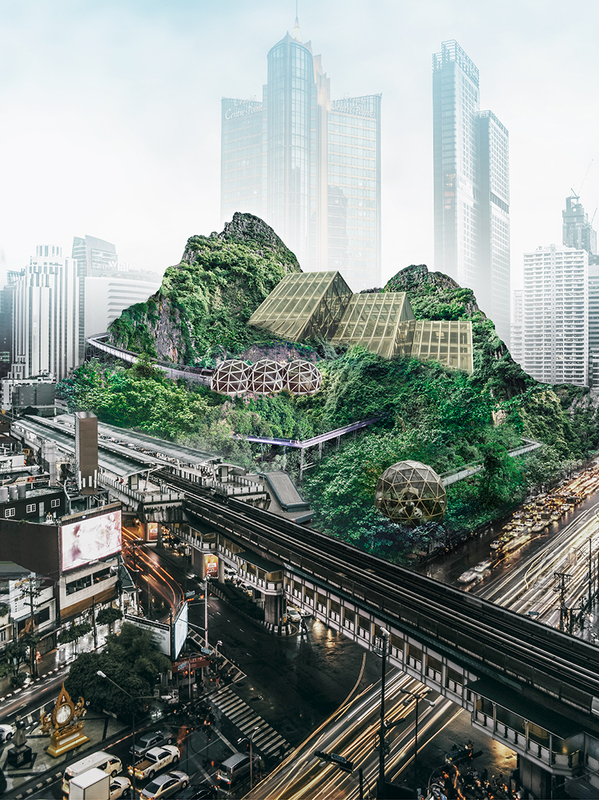 MAUD’s ‘hsinta cultural and ecological electri-city’ competition proposal is in response to the future evolution of the hsinta power plant development plan in taiwan. 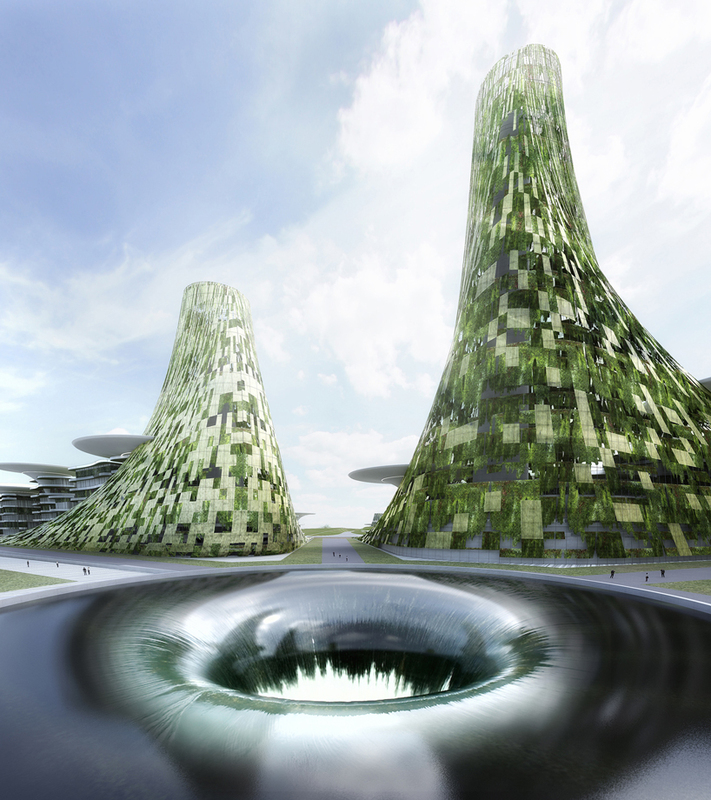 the proposal aims to provide a development framework to reduce the negative impact such as air pollution and biological disconnection on site. the plan will also create a new face for the island’s green energy and a frontier global citizen to protect our environment. 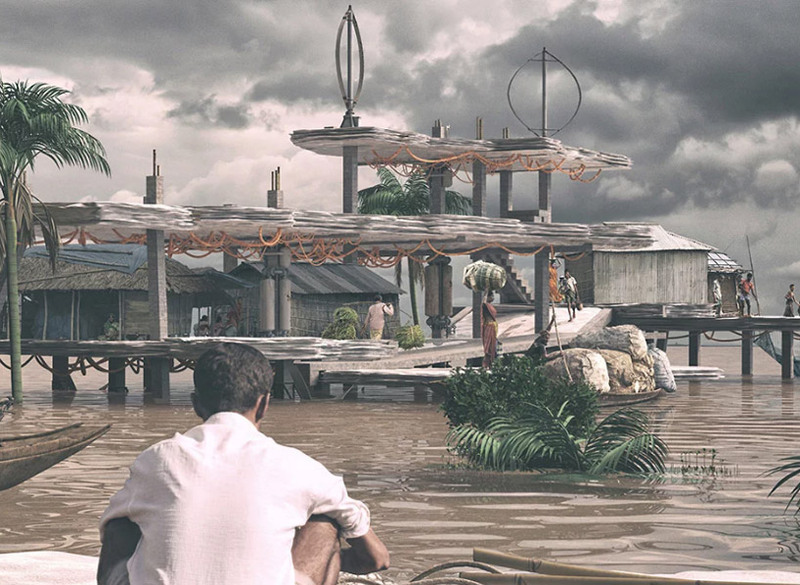 specialized in fiction-making and in visualizing unbuilt architecture, david lambert illustrated the salvation of bangladesh from being flooded with saltwater in 2023. according to his graduation project, bangladeshi people can tame salt, their key enemy responsible for the biotic transformation of the country and the disappearance of good soil. how? transforming it into growth material.